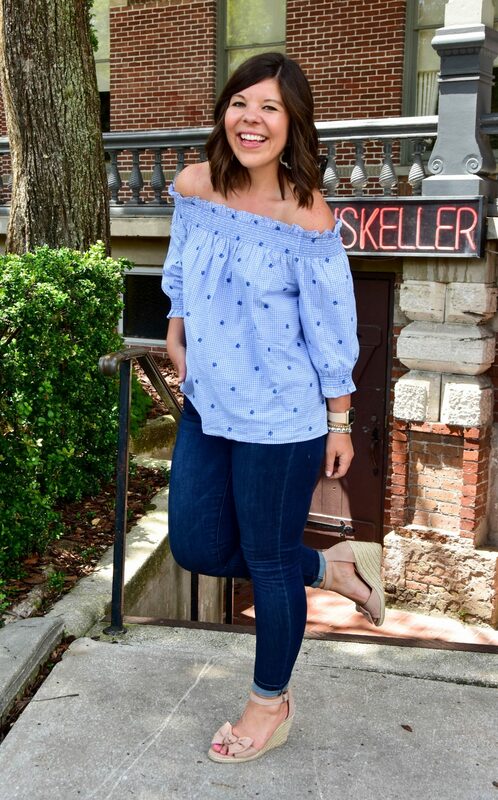 Date day or night doesn’t have to mean dresses, it can mean flirty off the shoulder tops too! One of the best things about the beginning of a new season is that it feels like it ushers in a new round of ideas & fresh inspiration. 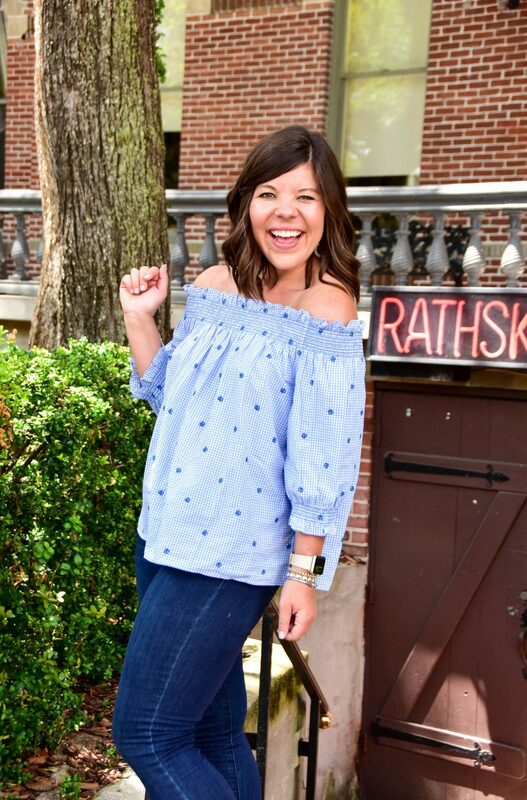 I’ve got all sorts of fun topics and looks to share with y’all and it feels like SO much to chat with you about. 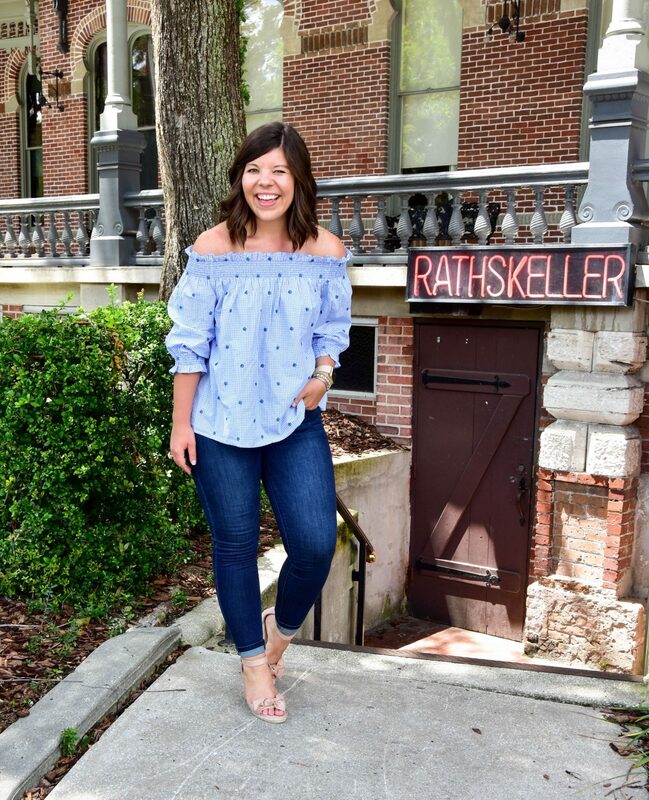 One things I always wonder if I should share more of is dating life- it’s certainly something I’m living “outside the blog” but I don’t know if you gals would want to chat about it?? I’d love to share some of the highs and lows of being single & 30, what I’ve learned, what I love, what challenges me, but is that something you’d want to read about? Let me know! 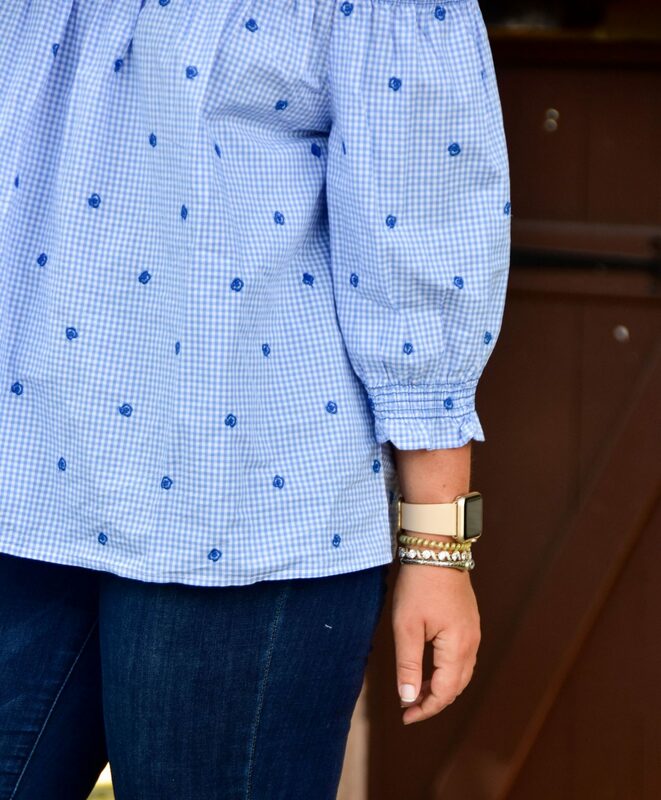 Speaking of being single and totally mingling… today’s look is all about date day! 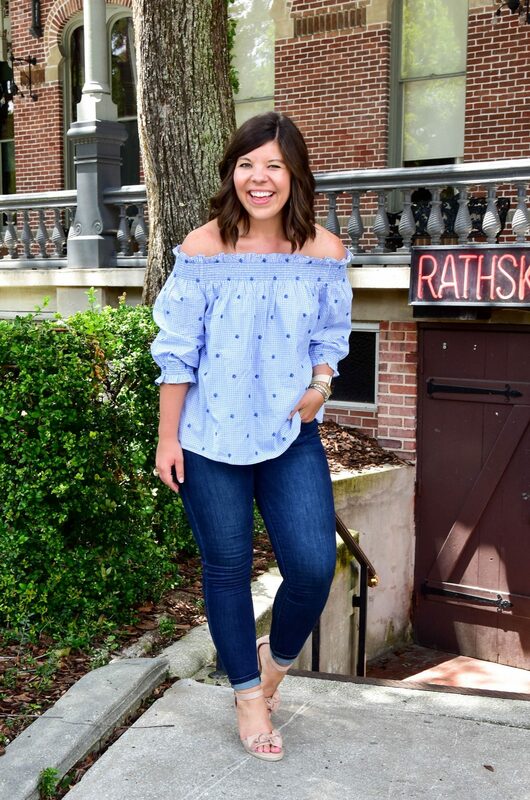 So often we chat about “date night” style and how to be sassy and take on the town. But what about those Sunday afternoon cocktails hours, or brunch (every girl’s favorite), or and time of day that may happen before 5 PM?! 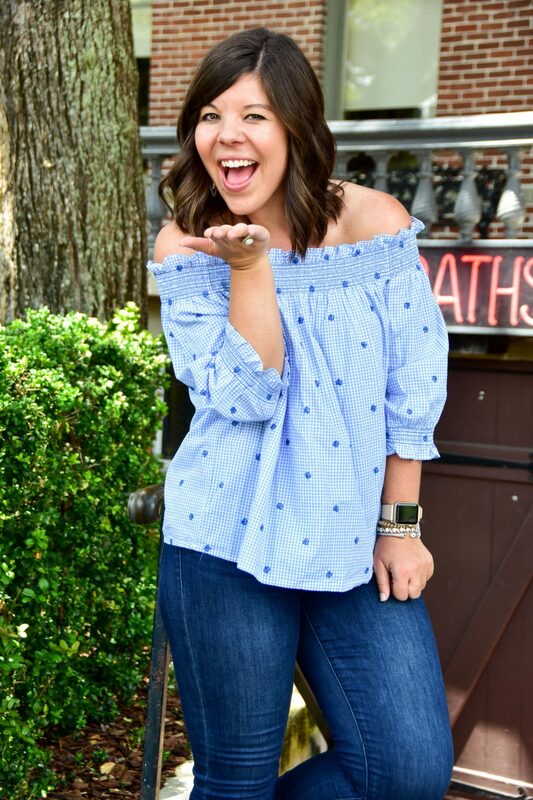 Enter this sweet, gingham off the shoulder top and bow wedges- this look is pure sugar & all things nice! 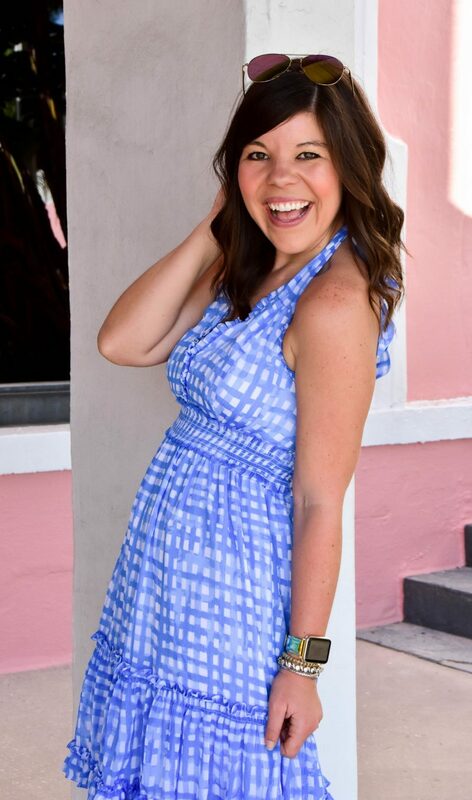 PS- I just have to say again that if you haven’t shopped at the Gap lately y’all have got to check it out! Seriously there are SO many fun pieces & if you scour the sale section you can find some amazing prices too! I think this top as $13 when I scored it! 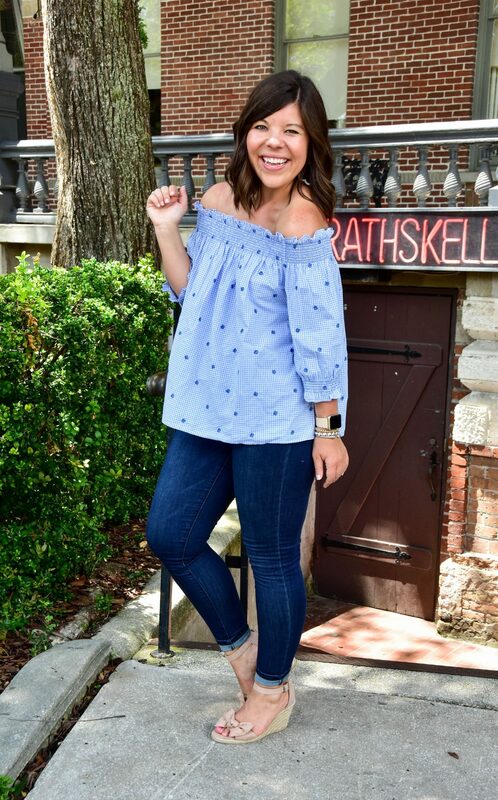 I love love an off the shoulder top and this blue one is gorgeous !! I can’t get enough of them!! 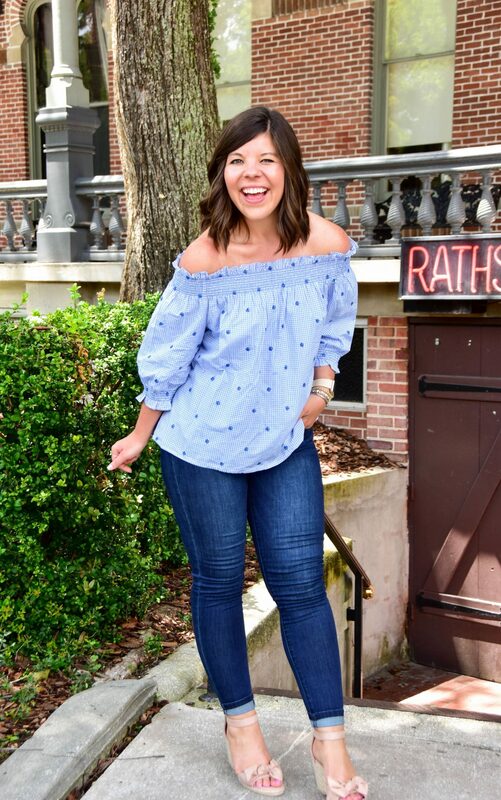 This is such a fun outfit for a day date! 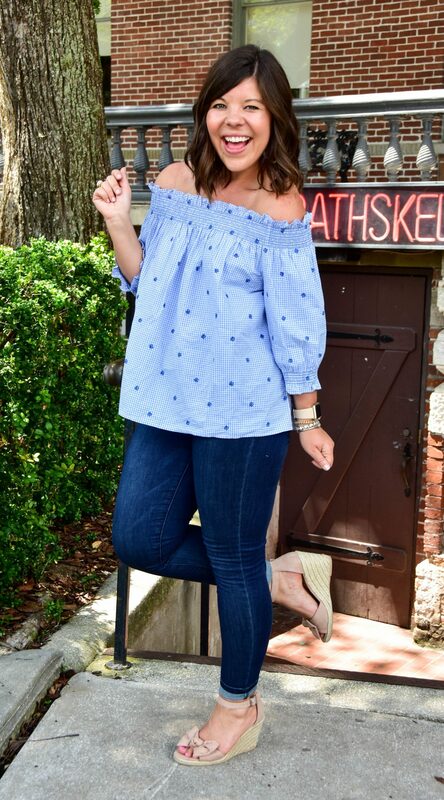 I love the off the shoulder and how cute are those wedges?! 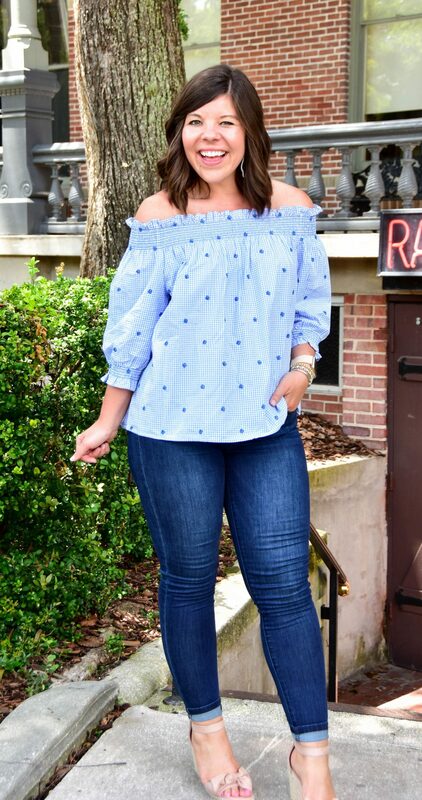 Loving the simplicity and cuteness of this look dear, especially the off-shoulder.